Welcome to the latest version of Insight! This doc includes new features in DUG Insight versions 4.0, 4.1 & 4.2. New process "NaN Removal" to easily in-fill or replace invalid values (Explorationist &Image Gather Processing module) with linear and nearest interpolation options. New CMY blending functionality. Use in conjunction with incoherence, dip angle and curvature for great results! 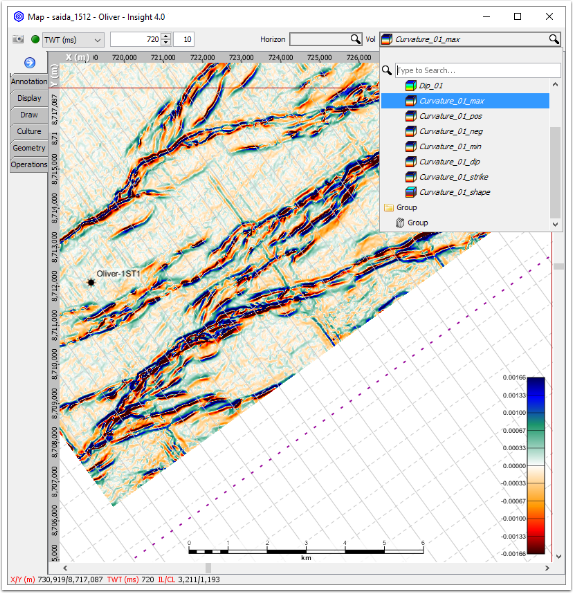 An CMY group allows you to designate the colours cyan, magenta and yellow to 3 different volumes for easy comparison in map, section and 3D views. 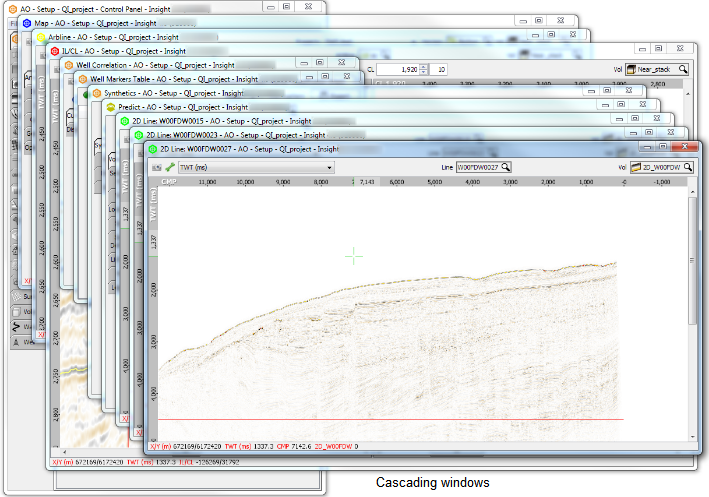 This process supports 2D, 3D and gather volumes. For more information, seeCreating a New CMY Group. The new NaN process easily fills in or replace invalid values with user defined values using 4 available methods of calculations. For more information, seeNaN Removal process. Insight can calculate the structural curvature for a horizon (Using Horizon Properties), or volumetric curvature based upon a dip field (using a Curvature process). 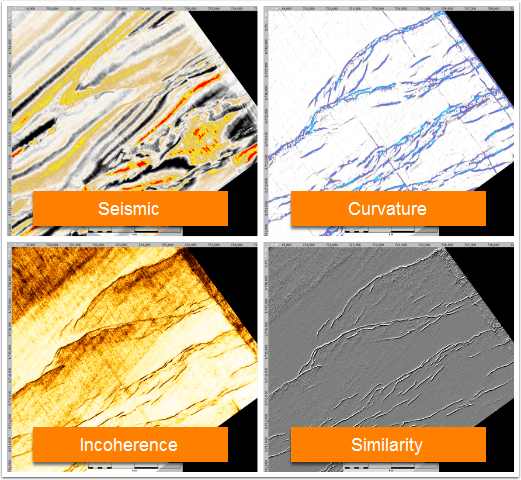 We've added three very powerful new similarity-based processes for structural interpretation. RGB blending. Use with Spectral Decomposition for great results! 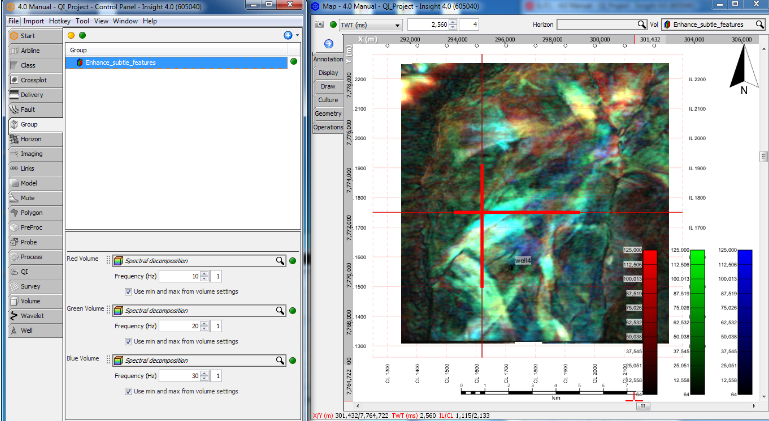 With Insight 4.0, you can now enable multiple and independent 2D, arbline, IL/CL, map, and gather views! Each view can be linked by volumes, vertical/horizontal scale and position. For more information, see Opening Multiple Views. New RGB blending functionality. Use in conjunction with Spectral Decomposition volumes for great results! 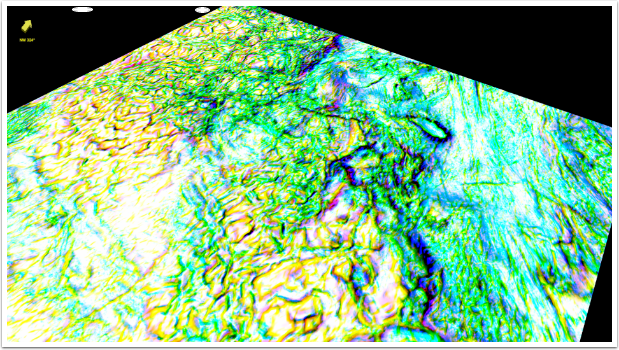 An RGB group allows you to designate the colours red, green and blue to 3 different volumes for easy comparison in map, section and 3D views. For more information, see Creating a New RGB Group. 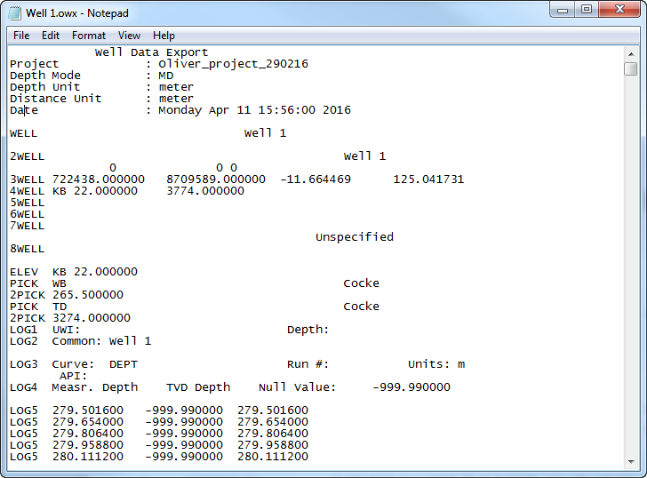 Where previously you can only import and export individual well data (i.e. 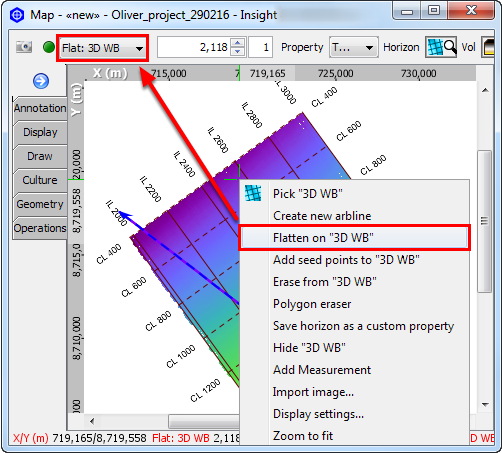 paths, checkshots, markers, curves), now you can import and export all of them at the same time in OWX format. For more information, see Importing All Well Data and Exporting All Well Data. For more information, see the Arbline chapter. 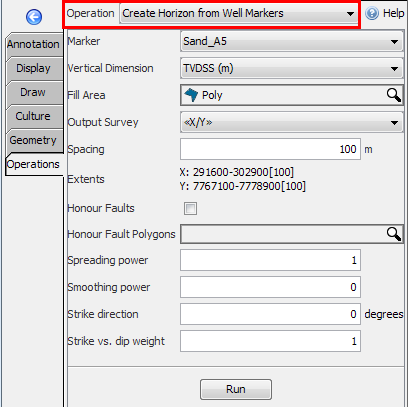 This new horizon operation creates a regular IL/CL or X/Y horizon from a set of well markers. 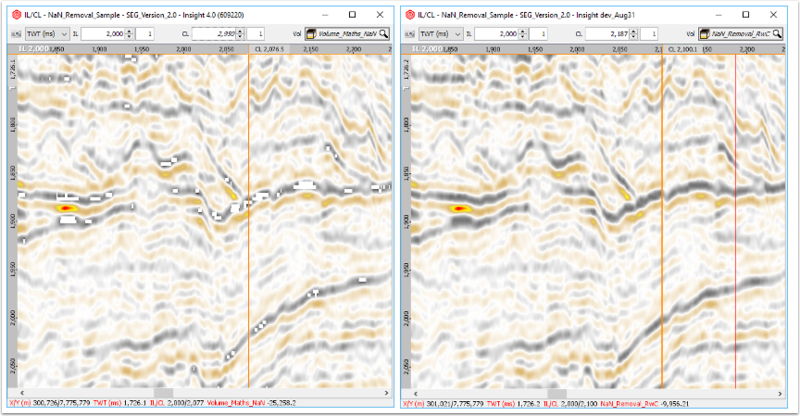 For more information, see Create Horizon from Well Markers. This new horizon operation creates a gather horizon from regular IL/CL horizons. For more information, see Create Gather Horizon. Right click on a horizon in any view and select Flatten on "Horizon". This will instantly create a Flattener process with that horizon as the Base Horizon, and the domain in the Map View will automatically switch to the flattened view. For more information, see Flattener. 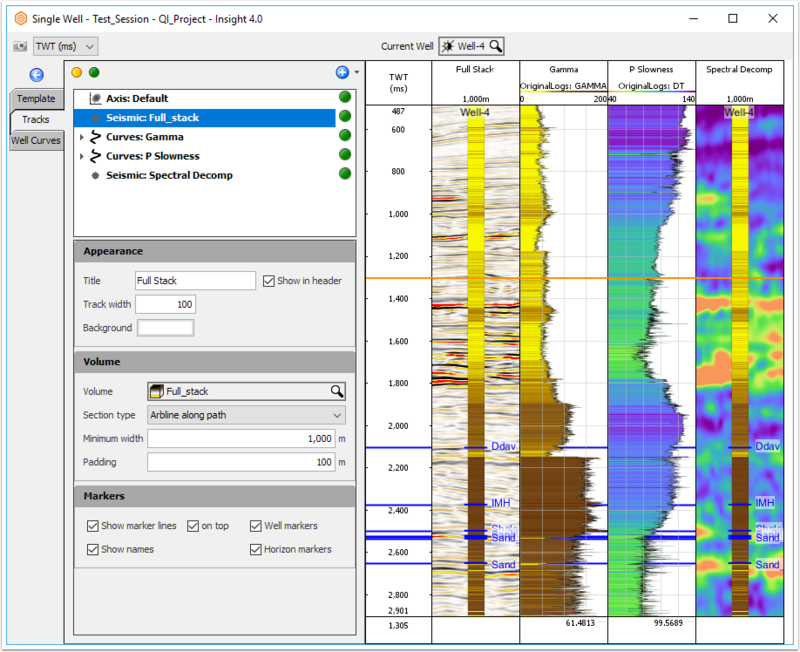 This process converts a DUG Insight 3D dip field volume into two output volumes. The first is the azimuth of maximum dip, measured in degrees clockwise from map north. The second is the maximum dip angle. 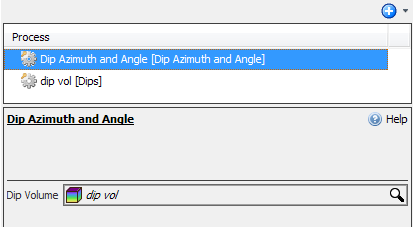 For more information, see Dip Azimuth and Angle. Manual misties can be applied, edited or removed in bulk. 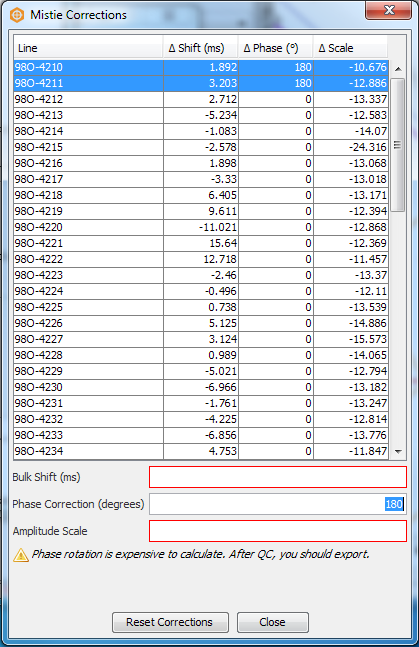 From the Configure Volume window, click Configure Mistie Corrections to view all misties in a table. This table can also be exported to csv. For more information, see Manual Mistie Correction. 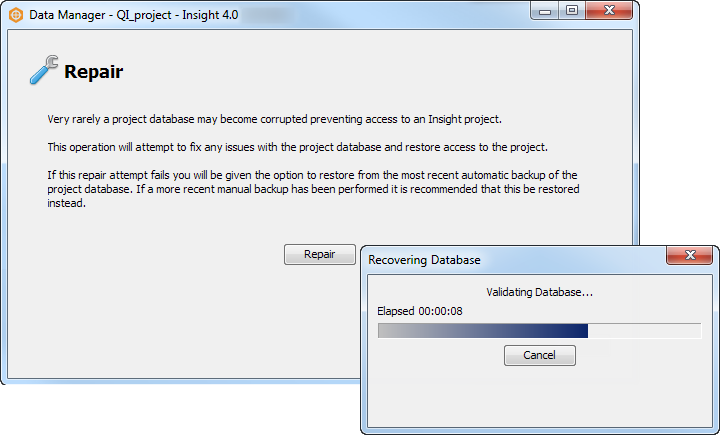 A new Repair operation in Data Manager to fix any issues with the project database and restore access to the project. For more information, see Repair a Project Database. For more information, see NaN Removal process. For more information, see Creating a New CMY Group.